It’s easy to forget how important our vehicles are in our daily lives. We depend on our vehicles to get us to work, school, and more. In addition, our vehicles are typically a significant financial investment. When a vehicle isn’t as it seemed, needs frequent repairs, or is rendered useless, it can impact nearly every aspect of a consumer’s life. Recognize the warning signs: The information below is intended as a resource for Nebraska consumers, to help you recognize the warning signs of a fraud and know your rights when purchasing a vehicle. Buying a used car can be risky and the responsibility for the purchase falls on the buyer. If the vehicle is sold “As Is” this means that the consumer agrees to purchase the car in its current condition. The consumer is buying the vehicle as it is on the lot with no express or implied warranty by the seller. This means that once the purchase is complete the seller is under no obligation to make repairs. In Nebraska, there is no three day right to cancel the purchase of a vehicle and the lemon law only applies to new vehicles. If you have a complaint about a vehicle dealer, you can file a complaint with the Motor Vehicle Industry Licensing Board. You can find their complaint form here. Car cloning begins with a stolen vehicle – usually an expensive luxury car or a fully loaded SUV. Once the vehicle is stolen, the criminal will find another vehicle that is the same make, model, year, and color, and then copy the vehicle identification number (VIN). The criminal will then replace the stolen vehicle’s VIN number with the legitimate vehicle’s VIN number. Other fake ownership documents may be drawn up and the stolen vehicle can then be registered. Once a cloned vehicle is discovered, it will likely be confiscated as evidence. This leaves the consumer without a car and likely still paying any outstanding loans. Further, the value of the vehicle could be diminished if its clone was involved in any accidents and the consumer could be implicated in any criminal activity connected with the clone car. Any consumer who finds they own a clone car will likely spend a lot of time and money straightening everything out. If you think your car was cloned (for example, you receive notice of unpaid parking tickets that are not yours), contact the police. Check the VIN plate on the dashboard for evidence of tampering. Check the vehicle’s VIN number in multiple places on the car to ensure they match. Look for incorrect spelling and information that does not match on the vehicle paperwork. Beware of vehicles being sold for substantially less than comparable makes and models. A salvage car is one that has sustained major damage and that an insurance company determined was not worth repairing. Once an insurance company declares a vehicle “salvage,” it pays the market value for the vehicle to the insured and will often sell it at auction to the highest bidder. No matter how much repair work the car subsequently receives, it will always be a salvage title vehicle and will not be worth as much as a vehicle with a clean title. 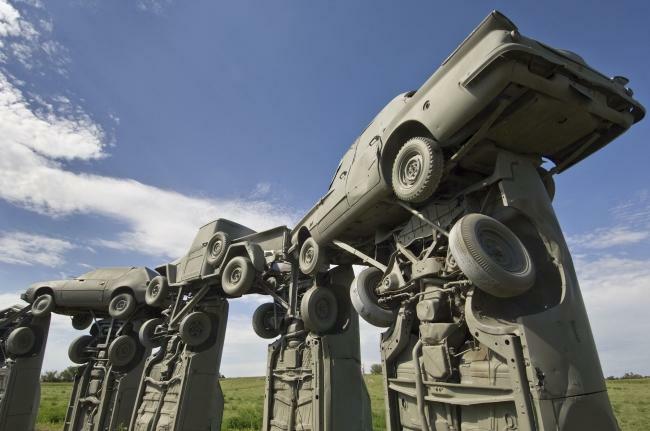 Nebraska law requires the title of any salvaged vehicle clearly disclose that it is a salvaged title. Other words that may indicate salvage status include: warranty returned, totaled, reconditioned, junk, non-repairable, reconstructed, rebuilt, flood damaged, or damaged buyback. It is not illegal to buy, sell, or drive a salvage title vehicle, but it is illegal to sell a salvage title vehicle if its title does not say it is a salvage title vehicle. This is the case whether the seller is a commercial dealer or private individual. Ask to see the title document for the car you are considering. Check the title document to see if it has been physically altered. If it looks like it has, be extremely wary about purchasing the vehicle. Take the vehicle for a test drive and have an independent mechanic inspect it before purchase. Knowingly selling a salvage title vehicle without disclosing the salvage title can be a Class IV felony punishable by up to two years imprisonment, a ten thousand dollar fine, or both. If you believe someone is selling salvage title vehicles in violation of Nebraska Law, you can contact your local law enforcement, file a complaint with the Nebraska Attorney General’s Office Consumer Protection Division, and/or file a complaint with the Nebraska Motor Vehicle Industry Licensing Board. This is a summary of Nebraska law on salvage titles. The text of the Motor Vehicle Certificate of Title Act can be found in Neb. Rev. Stat. § 60-101 et seq. Generally, a "lemon" is a new motor vehicle which has a defect or condition which substantially impairs the use and market value of the vehicle to the consumer and cannot be repaired after reasonable attempts. 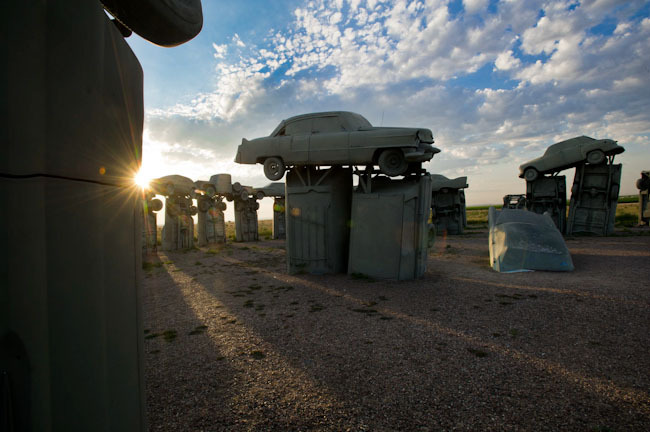 The statute covers vehicles purchased by consumers as new which were sold in Nebraska. It may also cover a used motor vehicle if the motor vehicle is less than two years old. Vehicles sold as used, trailers, and self-propelled mobile homes are NOT covered by the Lemon Law. The terms “new motor vehicle” and “used motor vehicle” are defined in Neb. Rev. Stat. §§ 60-1401.30 and 60-1401.38. Neb. Rev. Stat. § 60-2701(1) defines a consumer as the purchaser, other than for purposes of resale, of a motor vehicle normally used for personal, family, household, or business purposes, any person to whom such motor vehicle is transferred for the same purposes during the duration of an express warranty to enforce the obligations of the warranty, or any other person entitled by the terms of the warranty to enforce the obligation of the warranty. What Conditions allow a consumer to use the Lemon Law? A vehicle is presumed to be a lemon if within the first 12 months after the vehicle was delivered to the consumer, the consumer has taken the vehicle to the dealer four or more times for repairs for the SAME problem OR the consumer has been without the use of the vehicle for a cumulative total of 40 or more days. If a vehicle qualifies as a "Lemon" what happens next? A consumer can pursue their claim through an informal dispute resolution process (arbitration) or can file a lawsuit. Most manufactures have developed an informal dispute resolution process, which is triggered by written notification from the consumer. Neb. Rev. Stat. § 60-2704 requires that a consumer provide written notice by certified mail to the manufacturer. Your owner’s manual and documents may contain the manufacturer’s contact information as may the manufacturer’s website. The complete text of Nebraska’s lemon law can be found at Neb. Rev. Stat. § 60-2701 to 60-2709. If arbitration is initiated, a decision should be rendered within 40 days of the arbitrator’s receipt of notice of dispute. The arbitrator may delay a decision if the consumer failed to provide his or her name and address, brand name, identification number of the vehicle involved, and a statement as to the nature of the defect or other complaint, or if the consumer has made no attempt to seek redress directly from the warrantor. The dispute is considered settled when the consumer is satisfied. If the consumer is not satisfied with the arbitrator’s decision he or she may file a lawsuit. 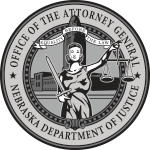 You can find more information on Nebraska’s Lemon Law on the Nebraska Department of Motor Vehicles Website.